When you're looking for products and services on which to spend your hard-earned money, it can be a little confusing when there's more than one provider to choose from. Which company should you trust to do a good job at a fair price? Most of us, when facing this type of decision, turn to relatives, neighbors, and friends to see which company they chose. The testimonials below represent just a few recommendations we've received over the years, from some of our Birmingham and central Alabama customers. Pet Stop has done three homes for us now. They are very professional. You get personal service with them. When my big dog was running all over the neighborhood, I was afraid this wouldn't work. Boy, was I wrong! Rob GUARANTEED he would contain our dog, and he did. Now our dog roams the yard freely, but won't even try to get out. Also, Rob taught us some little tricks to help us all get along better with our dog. 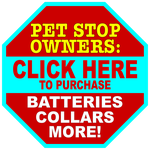 They run a good business at Pet Stop, and their years of experience are a tremendous help. Thanks Pet Stop! Our dog still likes you! It took three months of threats from the wife before I agreed to spend the money to get our invisible pet fence* installed by Pet Stop. I wish we hadn't waited, it was money well spent. Our dogs ran the neighborhood every day and some of our neighbors got a little tired of it, so we called Pet Stop since we see their signs all over the place. The dogs never leave now and we dont have to avoid the neighbors. The Pet Stop guys did a great job and the training was helpful and free. If you need a dog fence, call Pet Stop and let them solve your problem. We tried another company first, the only one we had heard of when we moved from PA. Once we started having trouble keeping one of our Labs in the system, our dealer became "invisible", too. So did their money back guarantee, of course. Two neighbors recommended we call Pet Stop, so we did. Not only did they stop JoePa from escaping, they upgraded our inferior system in for a reasonable price; the training support was much better too. 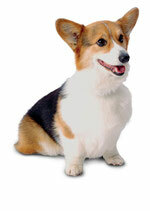 Skip the amateurs, go straight to the experts at Pet Stop! Excellent service and products! Went above and beyond to make sure our three puppies stayed safe and happy in our yard. Even made extra trips to insure our "timid one" was not traumatized. Great guys to work with, best in the business! I thought it would never work, but it did. We are happy we made this purchase, and the installation and customer service were very good. My two 'kids' and I have been Pet Stop customers for (over) 5 years. I have a big yard - I didn't have to spend a fortune on a fence and my neighbors love not having to see one. I highly recommend Pet Stop as an economical and aesthetic way to keep my 'kids' safe at home. - Tiffany at Homewood Printing Co. Highly recommend. I have appx 1.5 acres of grass and rough natural terrain fenced for my Chesapeake Bay retreivers. We love the fence. We have previously used this company at 2 other homes. Several neighbors used them also. Professional, knowledgeable about what sets their product apart from the competition and these folks understand dog behavior. We had the same fence installed at our parents in Indiana too so our dogs can have fun at the grandparents!! We use the ultra-elite collars. Our dogs are in the pool all summer long with their collars on. The annual battery plan is recommened. They have done this for me twice at two locations. The work was done on time, in budget, and done quickly. I got exactly what I paid for, and they were courteous, professional, helpful, and punctual. It was expensive, but I don't think anyone could provide the same service for less. Overall, Great Job! Timely and responsive customer service, with a quality product. We're happy with our Pet Stop fence and recommend them. Testimonials are compiled from several online sources, as well as directly from our customers. Below you can click the logos of some of the online rating services where some of our customers choose to rate us. If you feel so inclined, please feel free to leave us your rating on one of these services, or email it to us here and we'll post it as soon as we are able. 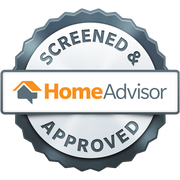 Pet Stop Pet Fence Systems of Alabama is a HomeAdvisor™ Pro Screened, Rated, and Approved Company. See our listing and some customer reviews at MerchantCircle. Get our customer reviews and information from Verizon's SuperPages.com. * All testimonials are quotes from our customers. Any references to Invisible Fence brand or Invisible Fence products is inadvertent and unintentional. 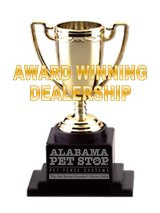 Pet Stop Pet Fence Systems of Alabama is in no way affiliated or associated with Invisible Fence brand, nor do we claim to sell any Invisible Fence brand product. Our customers, if they inadvertently call our products "invisible fences" or any of the many variations thereof, as a generic reference term, are unaware of any violation of trademarks belonging to Invisible Fence, Petsafe, or Radio Systems Corporation.